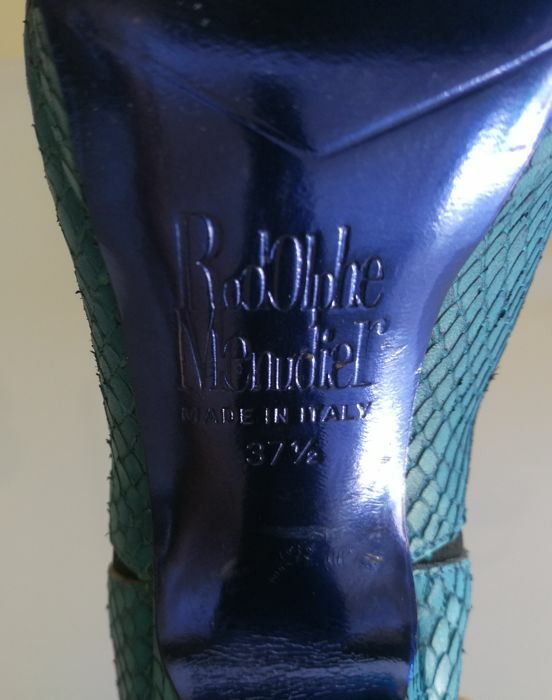 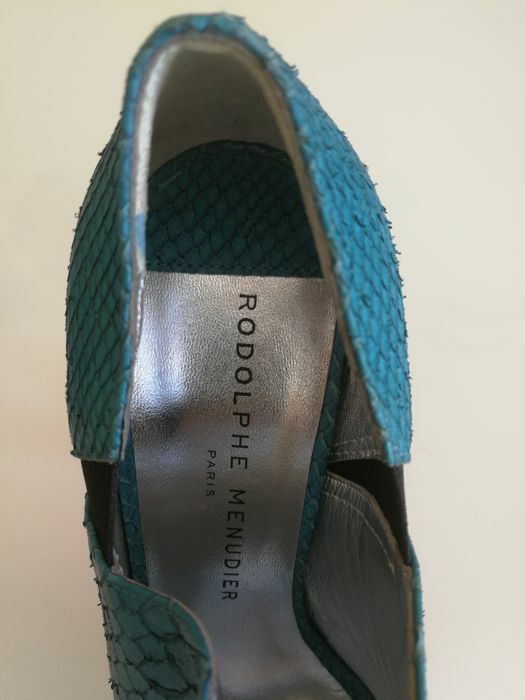 The lot comprises a pair of leather heels, new, by the famous French designer Rodolphe Menudier. 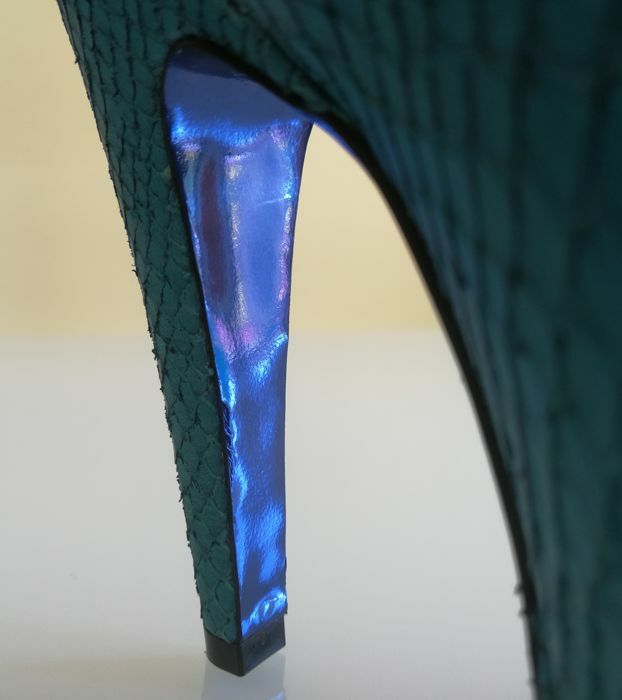 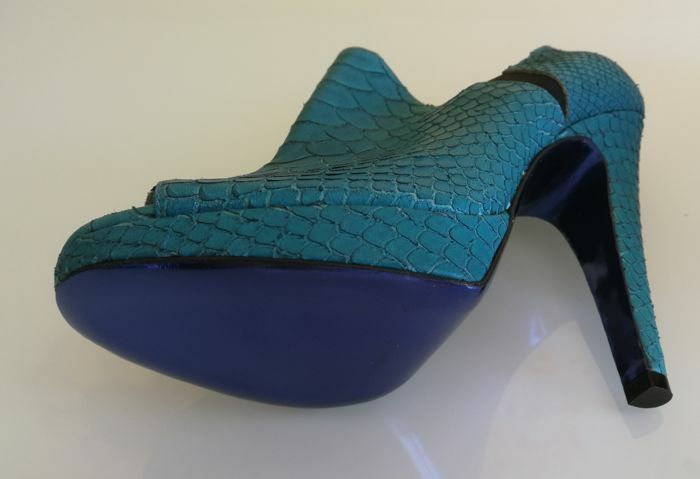 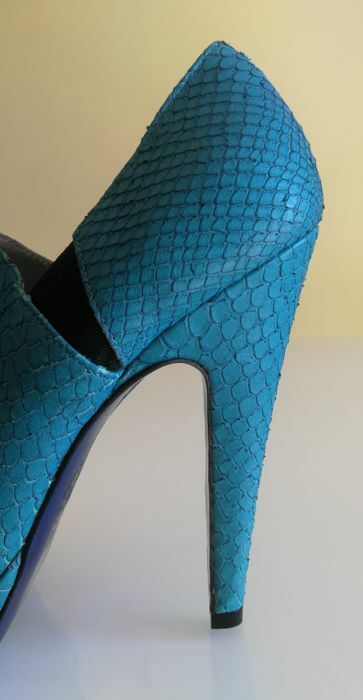 The shoes have the characteristic blue sole which represent style, beauty and elegance of a high-fashion item. 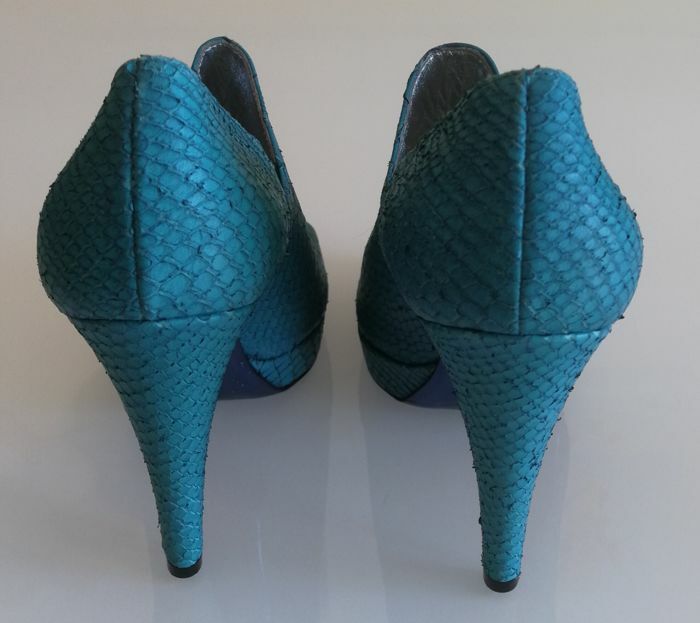 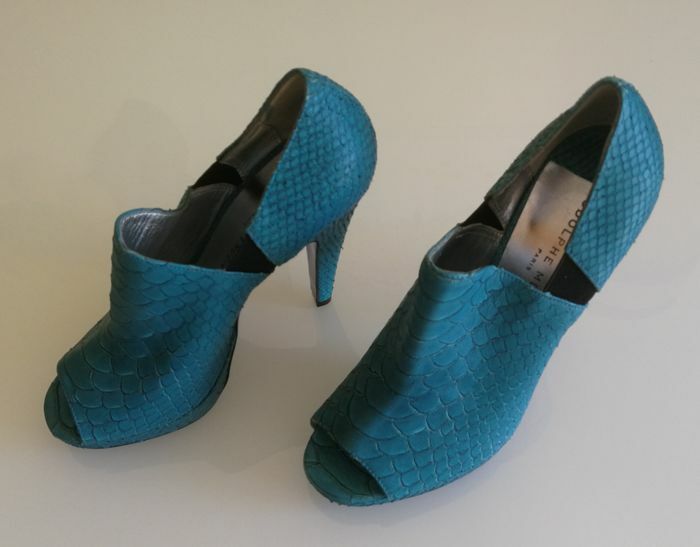 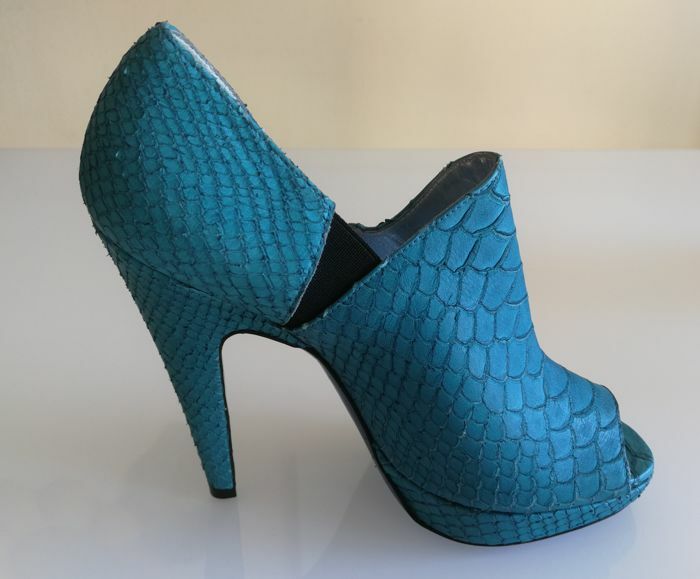 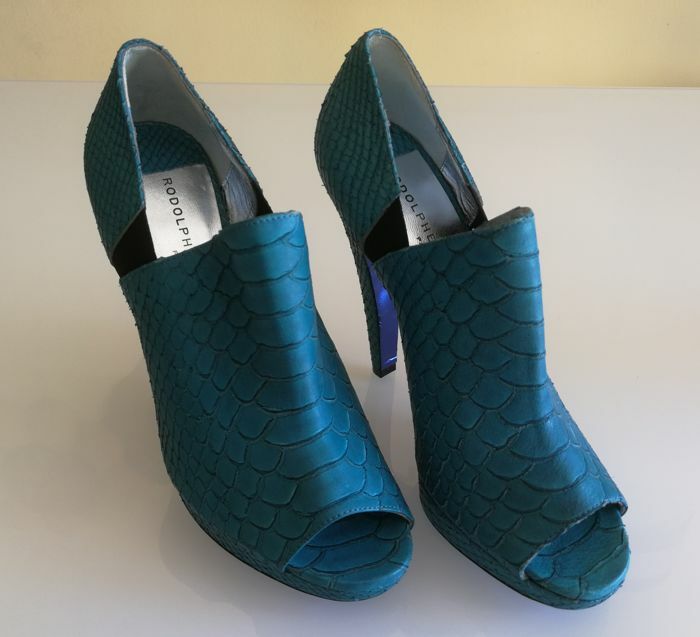 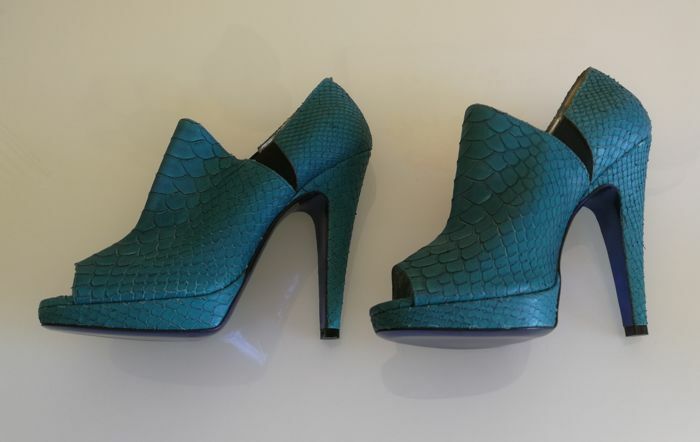 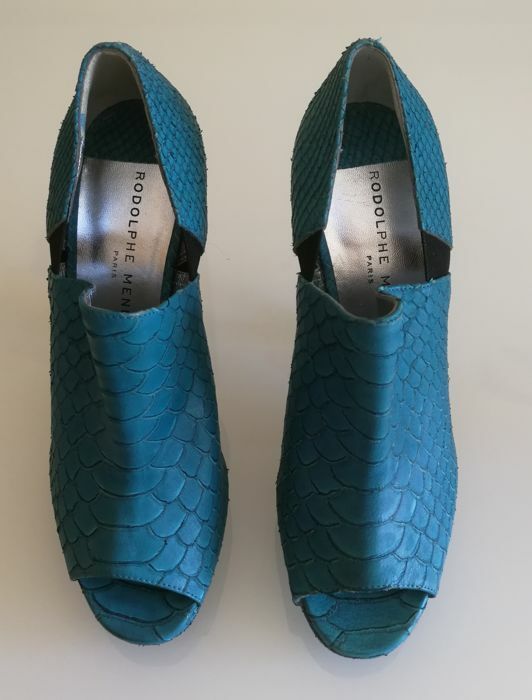 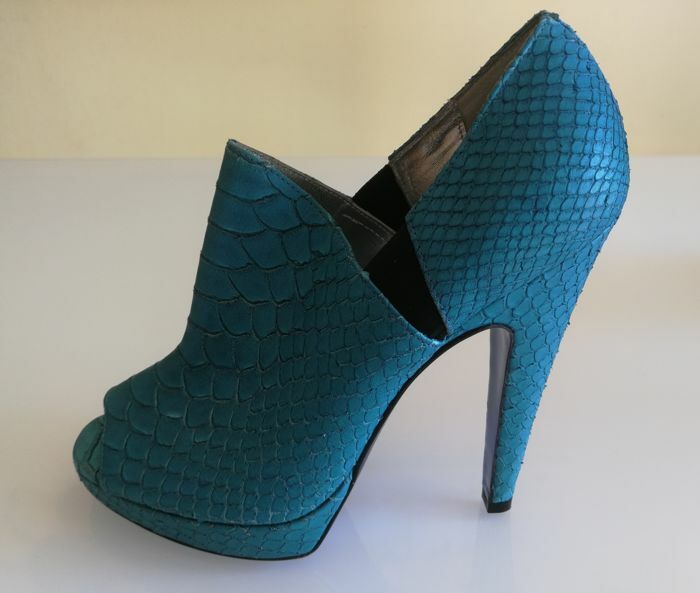 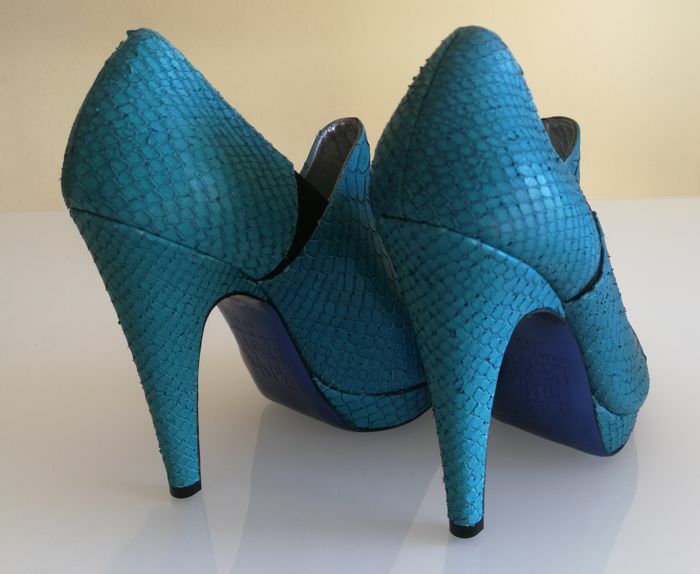 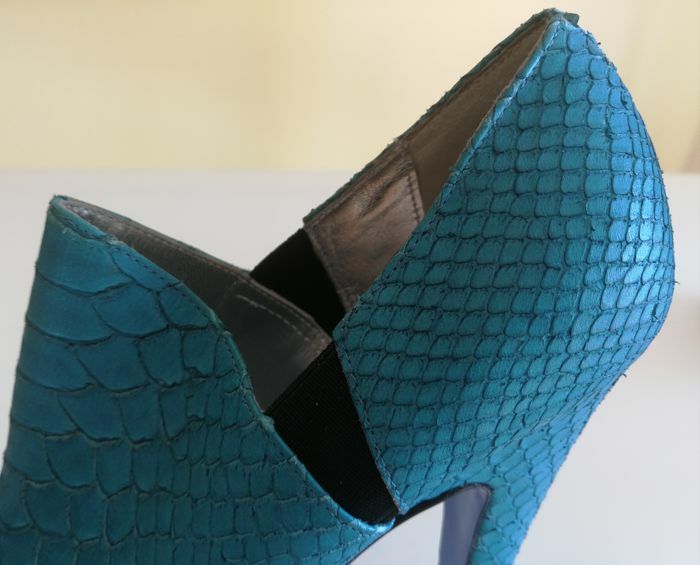 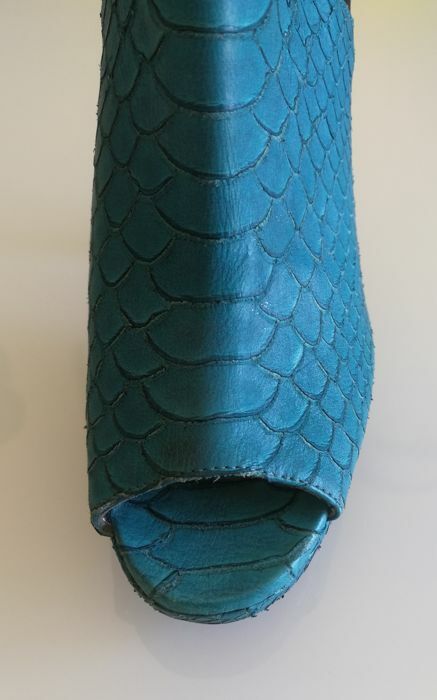 The emerald green snake print leather makes the shoe elegant and refined, and has been used by the stylist even on the heel. 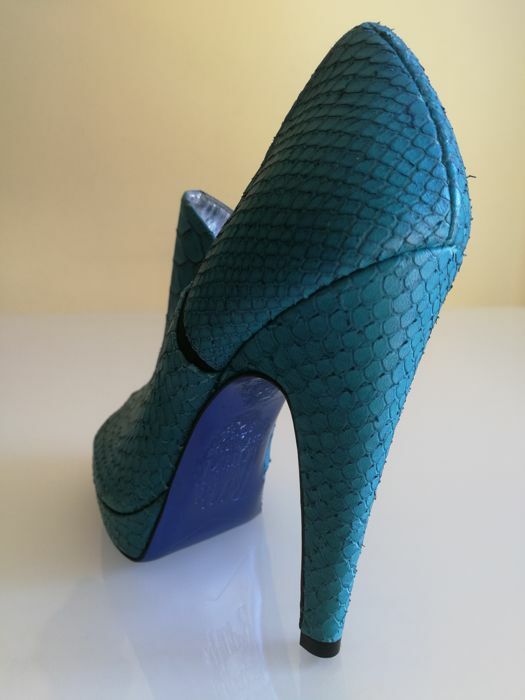 The heel height is 12 cm. 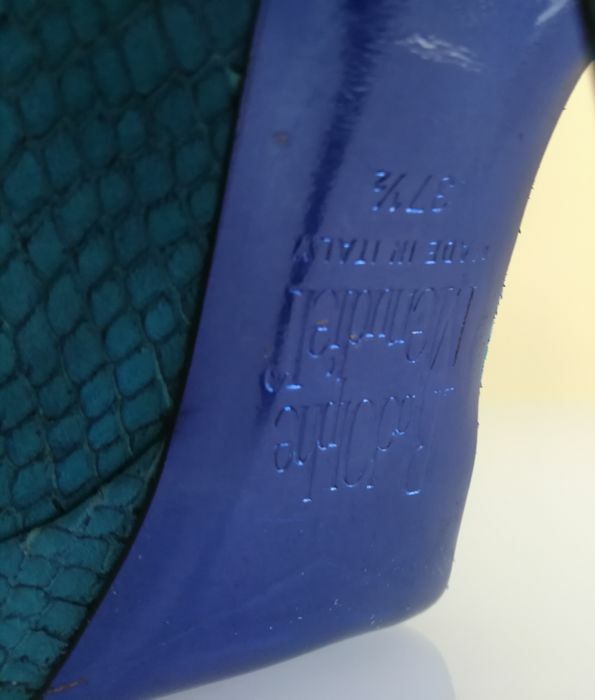 The shoe size is 37.5.